To some, the advent of the 12” single in the early ’80s was the end of music; but to many others it was a new dawn, a chance to hear your favourite song in widescreen format, expanded into an epic and not bound by radio conventions. The 12” came about at an exciting time in music when a few things were colliding: the cult of the ‘star’ producer, the rise of club culture, sampling/dub techniques/electronic music moving into the mainstream, and the prevailing post-punk/ ‘anything goes’ ethos. Talented sound designers such as Trevor Horn, Gary Langan, Shep Pettibone, John Potoker, Francois Kevorkian, Alex Sadkin and Steven Stanley were also in the right place at the right time. And it probably helped that sales of 12” singles contributed to weekly chart positions, so the stakes were high. 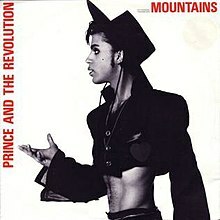 So to celebrate this long Bank Holiday weekend, let’s have a look at some key artefacts of the 12” revolution, a great time in music when anything – well, almost anything – went. A few of these I now prefer to the originals. Play ’em loud… And get in touch if your favourite is missing. Laurie Latham’s completely mad mix seems entirely designed to annoy the neighbours. A cacophony of metal guitars, Pino Palladino’s floor-shaking, P-funk-influenced bass and bizarre samples. And is that a jazzy riveted cymbal slinking into the mix from time to time? A timeless collection of house music tropes which doesn’t ever seem to date. Simplicity is the key, with subtly-shifting riffs. This one seems impossible to find on the internet or any other compilation album apart from the marvellous Slipstream 2-LP set which came out on Beggars Banquet in 1982. It’s a feast for the eardrums with gorgeous, spacey delays and twinkling Moog lines sprinkled into the mix. Remixer Gary Langan skillfully juggles of all this classic track’s trademark features: Trevor Rabin’s chiming guitar figure, the ethereal backing vocals and those crazy samples. Plus you can really hear Alan White’s drums here – never a chore. Joni’s a name you probably wouldn’t expect to see in this list. But remixer Francois Kevorkian had great raw materials to play with here – Thomas Dolby’s dub-style treatments, Mike Landau’s gorgeous rhythm guitar, Vinnie Colaiuta’s killer drums and all the silly vocal overdubs. Trevor Horn ups the ante with a cool, extended lounge-jazz intro and lots of little musical motifs, a new bass part and some new guitar solos. I can’t resist including this recent discovery – someone has somehow got hold of the Thriller stems/mastertracks and put together a real classic. It’s even funkier than the original, if that’s possible. Steve Thompson And Michael Barbiero’s insanely exciting mash-up of Motorik sequencers, Jonathan Moffett’s sick drums and Madonna’s strident vocals, all adding up to a ‘I Feel Love’ for the 1980s. Gary Langan was at the controls again for this stunning collision of ’50s B-Movie voices, swooning synths, rhythm guitars and bangin’ machine beats. The only thing missing is some serious low-end. Sylvia Robinson arguably laid down the groundwork for all future 12” singles with this 1984 classic. If you – like me – are always frustrated when this track fades out on the album/single version, have no fear because this remix carries on for another six minutes in the same vein, and turns into one of the sickest grooves Prince ever submitted to vinyl. Another entry helmed by John ‘Tokes’ Potoker, this one boosts the top-end again, adds some scary reverbs and focuses on David Rhodes’ guitar, Gabriel’s piano and background vocals and Manu Katche’s drums to superb effect. I now prefer this arrangement of the song. Coldcut put together this sonic feast, one of the most sampled 12”s of all time. You’ve probably heard almost everything on this remix 100 times on other tracks. Alex Sadkin brings his Compass Point mastery to this remix, adding a real drummer (Sly Dunbar?) and bass player and pushing the sequencers and percussion right to the fore. ‘Pull Up To The Bumper’ is possibly the more artful Grace remix, but this is included for its irresistible groove, and the fact that I always want the original single to go on for twice as long as it does. Also I love the ‘false’ ending and off-stage shout (Horn?) at 3:50. You could hardly go wrong with Quincy Jones and Bruce Swedien at the controls, but this remix just brings out the sheer luxurious beauty of this single, and I love the way various sections are repeated and amplified. Chris Blackwell’s protegé Steven Stanley was in charge of this fascinating dub, completely dispensing with Lynn Goldsmith’s vocals and tantalizingly delaying the reveal of Robbie Shakespeare’s bass for as long as possible. A chilling remix which brings out a little more detail of the single version, adding more spoken-word excerpts from the ‘Vietnam Requiem’ documentary and lengthening those funky drum breakdowns. Stephen Lipson and Paul Morley created this insane confection, a kind of Young Person’s Guide To The 12”, featuring Pamela Stephenson introducing all the clichés of the genre, Viv Stanshall-style! Only ZTT can do this. (It seems like sacrilege to leave Frankie’s ‘Two Tribes (Annihilation)’ out of this list, but this gets the nod for sheer balls).